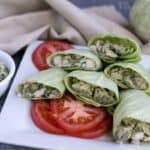 When it comes to eating a low-carb diet, we often feel like we give up some of our favorite carb filled recipes. But, it’s super easy to transition them to work with your new lifestyle. Take for instance muffins. 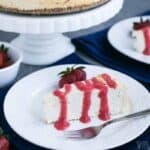 By subbing out all-purpose flour for cream cheese you are left with a keto version! 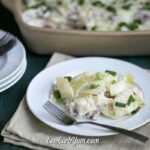 Cream cheese is one of those staples that I always have on hand in my kitchen. 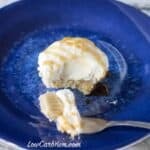 Cream cheese is a super versatile ingredient and a staple in many keto and low carb homes. However, be sure to read the nutritional labels when you are shopping for cream cheese at your local grocery store. The amount of carbs varies from manufacture to manufacture. Because of the high fat content, cream cheese is sustainable on the keto diet, in moderation. Cream cheese is also high in Vitamin A. 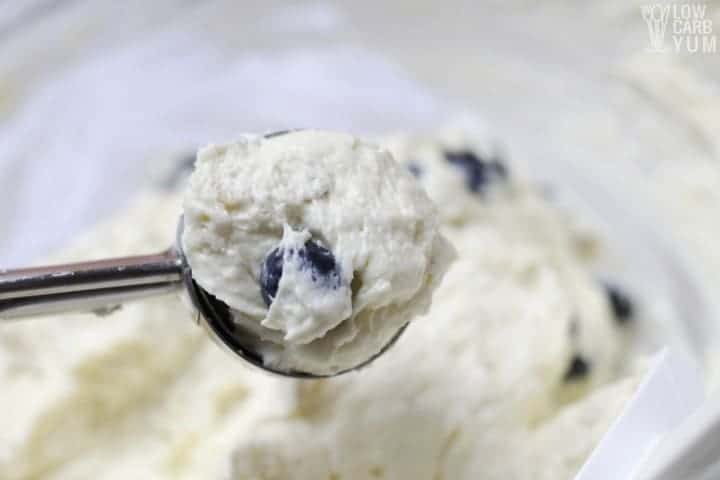 Find more recipes at LowCarbYum.com that contain cream cheese. How Many Carbs Are in Blueberry Cream Cheese Muffins? 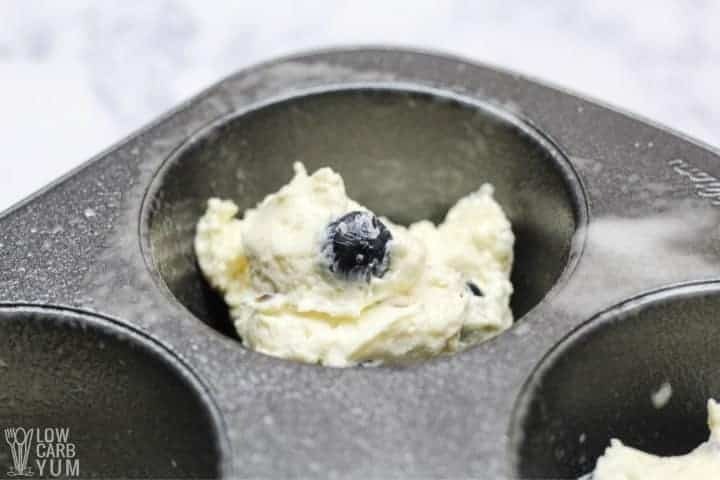 These blueberry cream cheese muffins are just 159 calories, 2 g of carbs and 4 grams of protein in our version when using cream cheese with 8 grams of carbs per 8 ounce block. 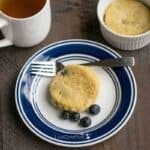 This is a great alternative to those high carb blueberry muffins that are around 460 calories and 61 grams of carbs! 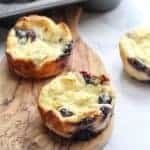 This blueberry cheese muffin recipe is adapted from one posted on the Low Carb Friends message board. 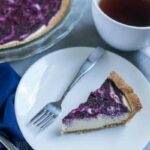 It is more like a cheesecake and can be adjusted to various flavors. I liked serving mine with some fresh blueberry sauce on top, but they can be eaten plain as a snack or for breakfast. Yes. I often eat yummy treats like this for breakfast! Eating high fat foods in the morning prevents me from overeating later. That’s because the fat really fills me up. 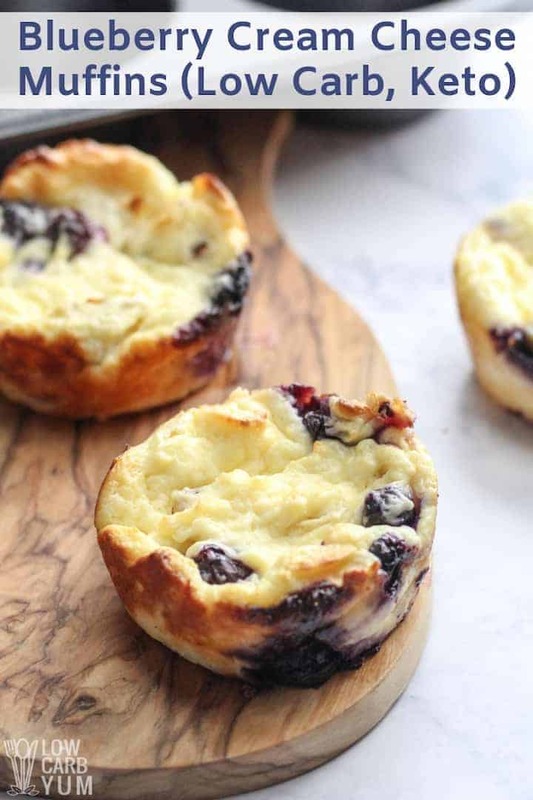 And, there’s certainly a good amount of fat in this blueberry cheese muffin recipe. I used silicone muffin cups to make these cheese muffins. I ordered them online on Amazon. Although these were made with cream cheese, you could use ricotta cheese instead. 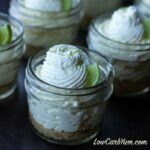 It would be similar to my mini cheesecakes that I made. You can also adjust the sweetener to taste. I find there’s a wide range of sweetness by personal preference. And, as always, feel free to use the low carb sweetener that you prefer. You can use any sweeter in this recipe. These healthy blueberry cream cheese muffins are perfect to serve for breakfast or brunch. We like to serve them on holiday mornings with our extended family along with low carb carrot cake muffins, keto cinnamon rolls, and egg muffins with bacon. And the best thing about this recipe is that it’s super simple to make! 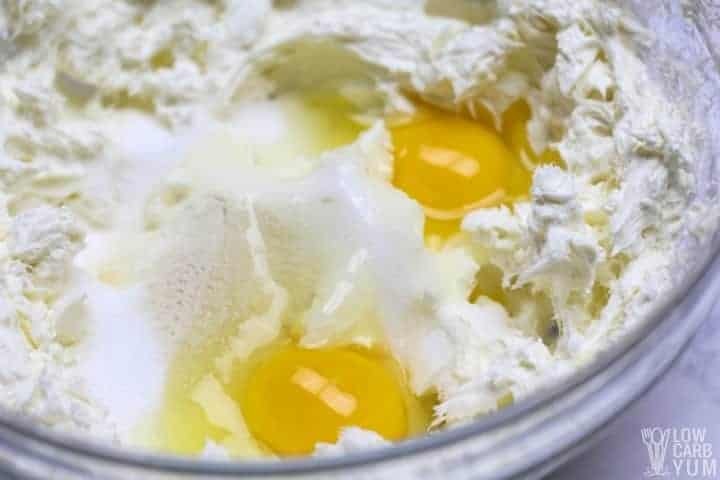 You just beat a couple blocks of cream cheese then add in sweetener, eggs, and vanilla extract. Then the blueberries and almonds are folded in. It’s then baked for about 20 minutes. So easy! 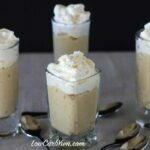 Enjoy these simple keto treats! And if you do give these muffins a try, we’d love to know what you thought of them in the comment section below. 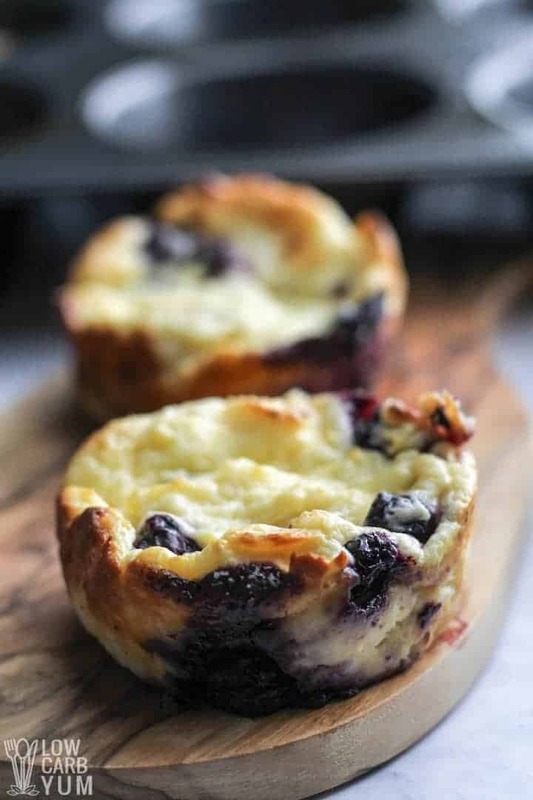 These low carb blueberry cheese muffins are more like cheesecake than muffins. These gluten free muffins can be eaten plain or with fruit and nuts on top. 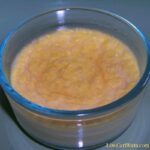 Beat softened cream cheese with electric mixer until smooth and creamy. Add sweetener, xanthan gum, eggs and vanilla. 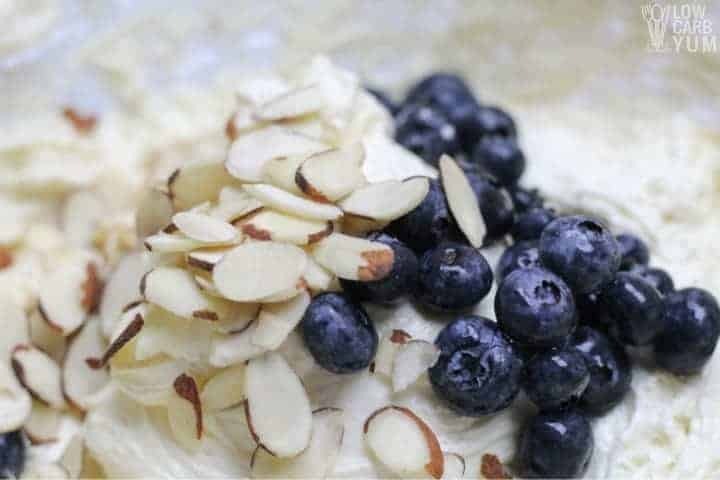 Fold in blueberries and almonds. Spoon into 12 muffin molds lined with the papers. Bake at 350 for about 20 minutes. Cool and store in the refrigerator. Best served chilled. 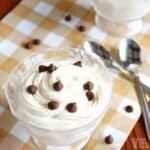 Using room temperature cream cheese allows for a smooth cream cheese mixture. Put the batter into half-pint jars with rings and lids, not tightened, just loose, and steam for 15 minutes, then NPR (natural pressure release) for 20 minutes. Post updated in February 2019. Originally published June 2011.